Honey stop the car! 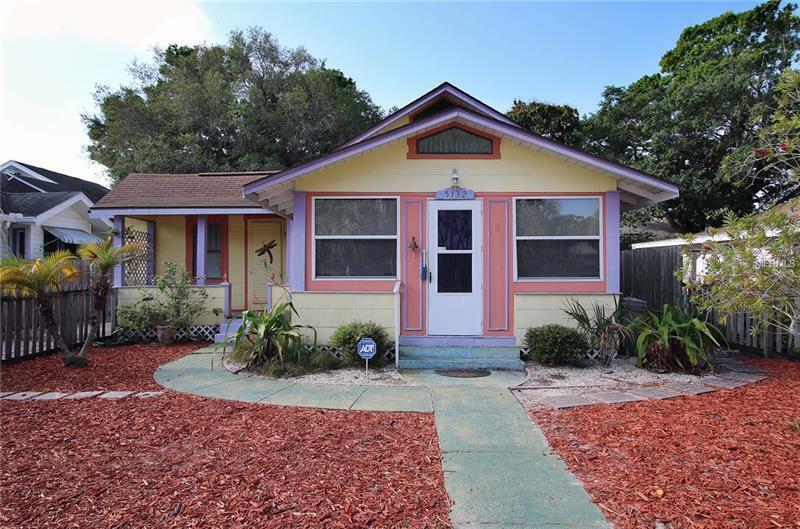 You're going to fall in love with this charming Bungalow nestled in the heart of Historic Gulfport. As you enter the home you will find a cozy, fully enclosed front porch, great for people watching. Once inside the main part of the home you will see there's plenty of space in the wide open floor plan for entertaining guest. The home has 2 bedrooms and a nice size bath with full tub/shower. The home provides plenty of storage both inside and outside. Relax on a warm summer's night out under the covered back porch in your private, fenced yard. Enjoy an evening stroll down the brick paved streets towards downtown where you will find natural beauty enhanced with colorful personality. Pamper yourself with the scenic views of Boca Ciega Bay while filling your bellies at one of the many delicious eateries. Take in all the beautiful nature sights and sounds relaxing in the Clam Bayou Nature Preserve or one of the many gorgeous Florida sunsets from Williams' Pier.